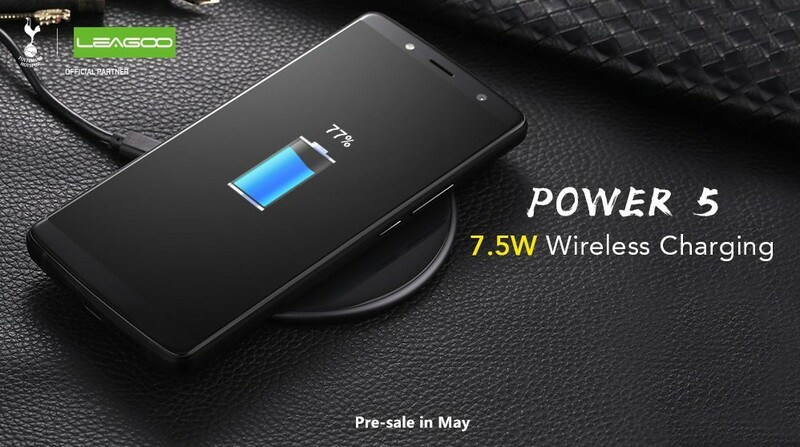 7000mAh LEAGOO Power 5 will support 7.5W Wireless Charge! Recently, smartphone users have seen a great variety of big battery phones launched on the market. It seems that long battery life and fast charge become the new standard. Among these big battery phones, LEAGOO Power 5 stands out with 7000mAh battery and 5V5A ultra fast charging. It can charge 35% battery power within 30mins and get full charge with only 2.5 hours. When fully charged, its battery can last up to 4 days! Despite of many big battery phones for sale on the market, however, they are all lacking in one feature – wireless charging! As one of the emerging technologies among smartphones, wireless charging is often seen in flagship phones such as SAMSUNG S9, iPhone X, Xiaomi MIX 2S, etc. Fortunately, LEAGOO’s 7000mAh Power 5 also supports wireless charging with a 7.5W charger! With 7.5W wireless charger, LEAGOO Power 5 obviously aims for more than just long battery life and intends to provide its users with better using experience from different perspective. 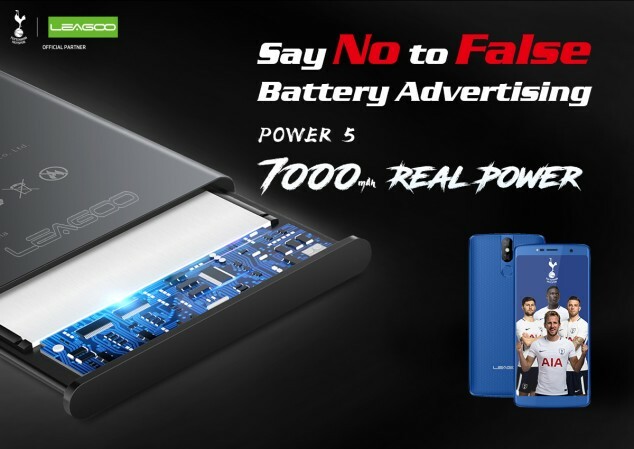 Currently, according to LEAGOO sources, it is confirmed that LEAGOO Power 5 supports wireless charging feature. But its wireless charger is an optional accessory and needs to be purchased separately. The price for the wireless charger is not known yet. LEAGOO Power 5 packs a 7000mAh battery and 5V5A ultra-fast charger. Featuring 5.99-inch FHD+ 18:9 full screen, it comes with MT6763 2.0Ghz SoC, 6GB RAM and 64GB ROM. For the camera, the Power 5 is equipped with SONY® 13MP + 5MP rear dual camera as well as SONY® 13MP front camera. It also supports wireless charging and Android 8.1 OS. The Power 5 is priced at $229.99 and will be released in May! LEAGOO S9 launched in MWC 2018, coming with 4GB RAM and costs only $149.99 !